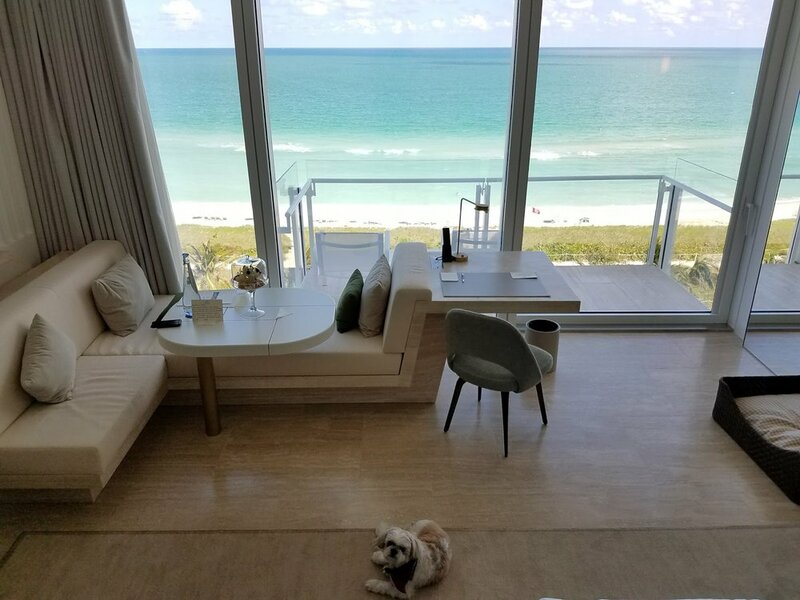 Earlier this year, Four Seasons Hotel at the Surf Club opened, and I finally had a chance to stay last month. 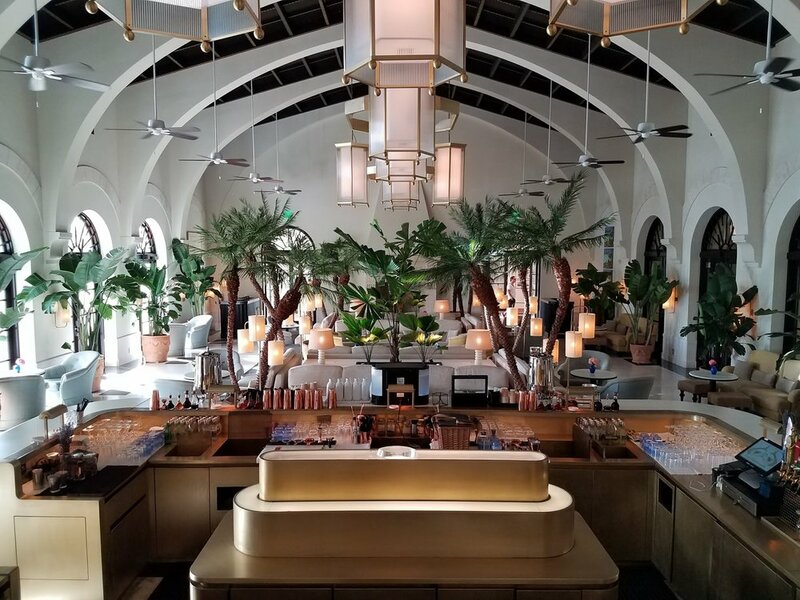 It's by far one of the most luxury-drenched, five-star hotels to open in Miami (and, to be honest, the entire planet), bringing back the glam Miami so desperately needed. It's not cheap but it's well worth the $900/night rate when you consider what you're paying for. 1. It's slightly removed from all the Miami cray. Surfside is about 20 minutes north of Miami Beach in a relatively quiet area. What does this mean? A LOT more space. No crowded boardwalk or beach, no gaggles of tourists, virtually no traffic and a high level of privacy (if that's what you want). 2. History resonates here. The Surf Club is an iconic, 1930s private club for celebrities like Frank Sinatra, etc. It feels like a timewarp, which definitely adds allure. 3. The design is insane. Two words: Richard Meier. The lobby is grand, stately and remarkably elegant. It's timeless but contemporary with a dash of Mediterranean inspired decor. 4. There's more luxury in a guest room here than entire hotels touting five stars in Miami. Every bathroom feels like it was carved out of a slab of Italian marble. Also, there are only 77 rooms (all with balconies, floor-to-ceiling windows, electronic curtains, everything controlled by an in-room tablet and green-marble mini-bar), so basically a handful of rooms per floor. My room at Four Seasons Surf Club did not come with this dog. The huge bathroom with tub and separate rain shower, all carved out of marble. 5. It's all about privilege. You have two heated pools that are uncrowded, backbending service, complimentary bikes, 24-hour room service, private section on the beach, the works. 6. The restaurant. My God, the restaurant Le Sirenuse is insane. Get ready to indulge in authentic Italian. 7. It's so glam, you'll feel like a VIP. It doesn't matter who you are. The perfect combination of service, privacy, high level of comfort and exclusivity makes you feel like you OWN THE PLACE. 8. The spa has a hammam, and plenty of gorgeously designed rooms to chill out in. 9. You can have whatever you want. This is the type of hotel where staff are trained to say yes to everything. Also... THESE VIEWS ARE INSANE. My room at Four Seasons Surf Club. 10. SO much space. Rooms are huge, the hotel is huge, the grounds are huge. This is because the hotel was built ground up (rooms on top of the Surf Club), unlike most Miami hotels that took over a former, decades-old, tiny building.